Have you ever been in a situation that seemed hopeless and someone looked into your eyes and said, “Don’t worry, just wait on the Lord?” What exactly does it mean to wait on the Lord? It sounds like a cliché. 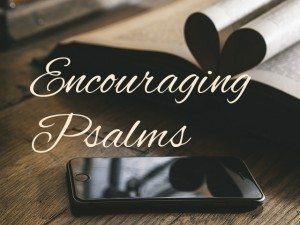 When you have an opportunity, read Psalms chapter twenty-seven. In this chapter, you will see many of the challenges David was faced with. Through his experiences, he decided that if he focused on God, the light of his salvation, he would be complete. He wrote at the end of this chapter, “I had fainted, unless I had believed to see the goodness of the LORD in the land of the living. Wait on the LORD: be of good courage, and he shall strengthen thine heart: wait, I say, on the LORD.” (Psalms 27:13-14). Through all of our difficulties, we can always count on the Lord being there to strengthen us for as long as we trust in Him. In these verses, David wanted to communicate that we should trust the Lord to deliver us from despair. We should patiently wait for the blessings that He has promised to the faithful. To endure every trial, we must expect the arrival of God’s strength. Is it possible that the Bible teaches another way to wait on the Lord? When the Bible says wait on the Lord, I think about young Samuel who, at the beginning of his ministry, was listening for the voice of God in the night. (1 Samuel 3). I think of Huldah, the prophetess, who instructed King Josiah to be faithful to God by following His word (2 Kings 22). When I think of what it could mean to wait on the Lord, in my mind’s eye I see a woman named Mary so filled with gratitude that she anointed Jesus’ head with expensive perfumes and washed His feet with her hair (John 12; Mark 14). Waiting on the Lord is a humble attitude of service and love. It is like a waiter or waitress at an upscale restaurant, available to satisfy the patron’s every desire. When we assume this posture, wanting only to please the Lord as His servants, we are in truth waiting on Him. Solomon gives us a snapshot of waiting on the Lord. “Let us hear the conclusion of the whole matter: Fear God, and keep his commandments: for this is the whole duty of man.” (Ecclesiastes 12:13). Simply stated, whenever we are tempted to focus on our own trials, we should ask the Lord to teach us how to please Him. When we become so consumed with making God smile and lose sight of things that would usually distract us, Jesus said that He would supply everything we need (Matthew 6:33). If you need peace, wait on the Lord. If you need love, wait on the Lord. If you need companionship, wait on the Lord. If you need financial help or even healing, wait on the Lord. Wait, I say, on the Lord!